Metal roof systems are increasingly popular for adding color and character to buildings. When choosing a metal roof, there are many types of panels and profiles to choose from and consider. A structural panel typically used on metal buildings. The most common type is the R Panel and corrugated panels. This panel can be the wall panel and the roof. In air-conditioned space, vinyl backed batt insulation would be installed underneath the panel. It uses an exposed fastener with a sealing washer, which screws through the panel from the outside. Panels come in a wide range of colors and are inexpensive to install. Exposed fasteners are common on metal buildings, barns and exterior canopies. When appearance and long term performance matter, concealed fastener panels provide both. Standing Seam and Architectural panels are common terms for this type of panel. These panels generally require support under the entire system. When installing concealed fastener panels, a panel is laid down, a clip is set over one leg of the panel and screwed to the deck and then another panel is laid down over the clip. The clip is used to connect the two panels together by either snapping in place or using a seamer to roll the seams together. The clip is rolled with the seams in a single lock or double lock manner. A weather seal should be applied in the seam before seaming. The key to any metal roof is installation. Thermal movement affects metal panels. When installing metal panels, many considerations must be determined before the installation begins. These include panel length & width, fastener locations, curb and penetration location, seam height, and ventilation. 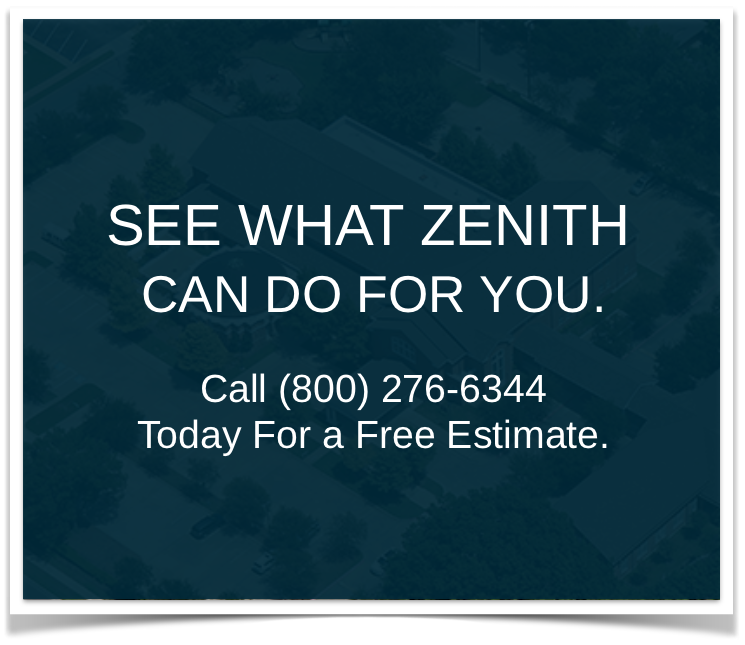 Zenith Roofing has the experience to ensure your roof is designed and installed correctly which can provide up to a 5-year labor and 20-year material paint warranty. For more information on metal roof systems, please call us at 1-800-276-6344.